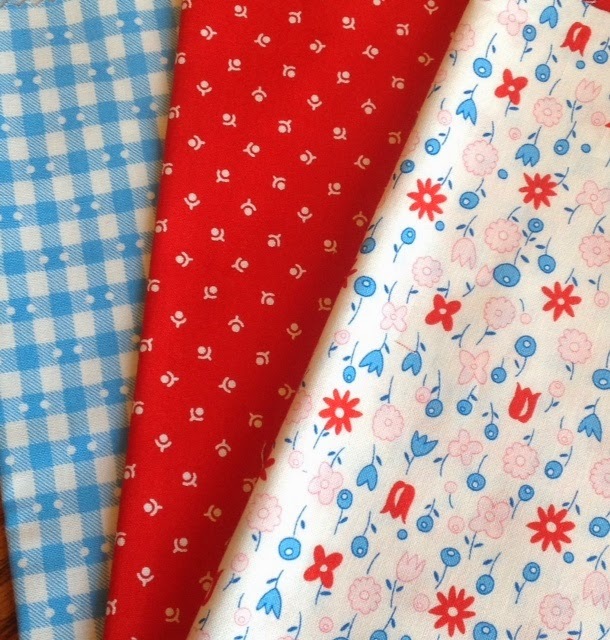 Olde Green Cupboard Designs: NEW FABRIC - Strike Offs are here! 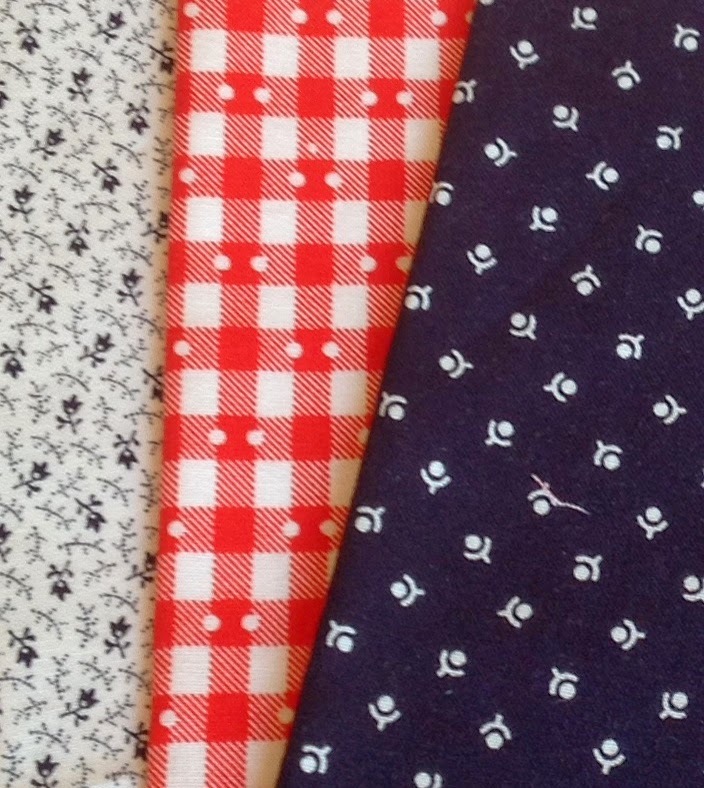 NEW FABRIC - Strike Offs are here! 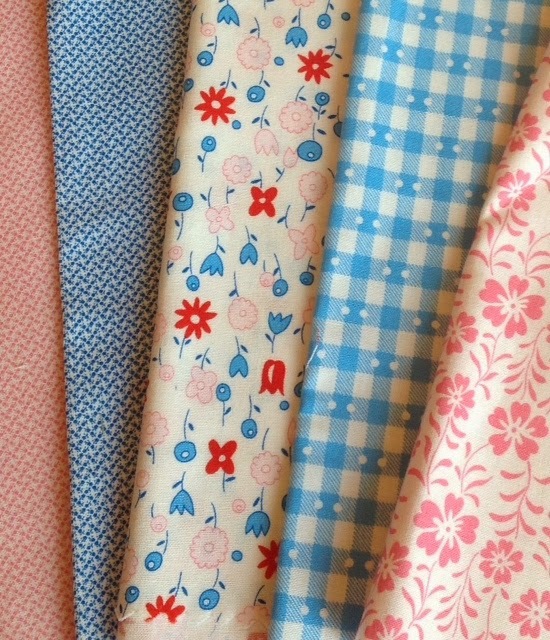 We are so excited... our strike-offs have arrived from Marcus Fabrics and we LOVE THEM... we are only working on a few changes... ! 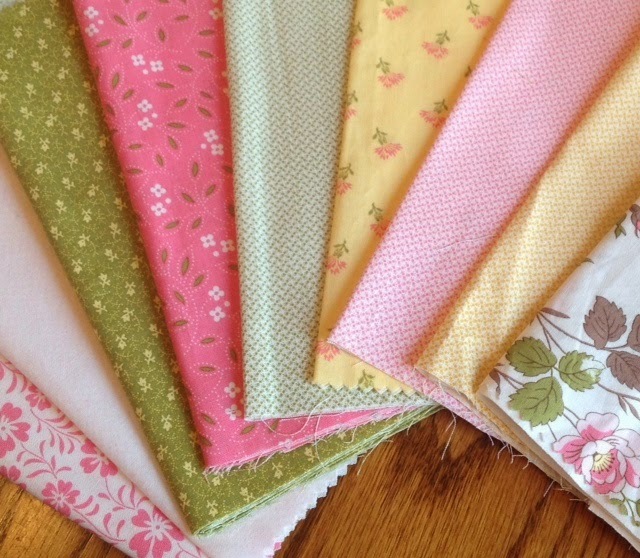 It will be called Farmhouse Blooms!! These are totally different from our last line... the inspiration if from our living on the farm when we were kids... in the 50's & 60's! Remembering all of the flowers mom grew in the yard... we decided to have some floral in fun colors... here is the first peak! 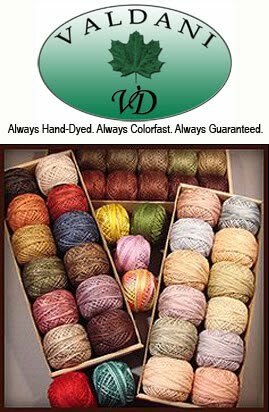 I've mixed them all around so you can see how easy it will be to make all different color combinations. 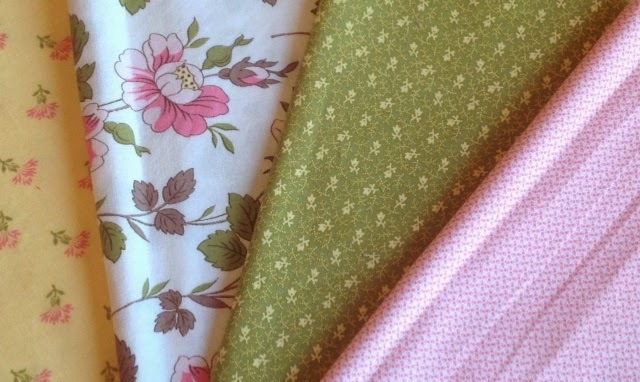 Then the softer side is with our yellows, pinks and greens. 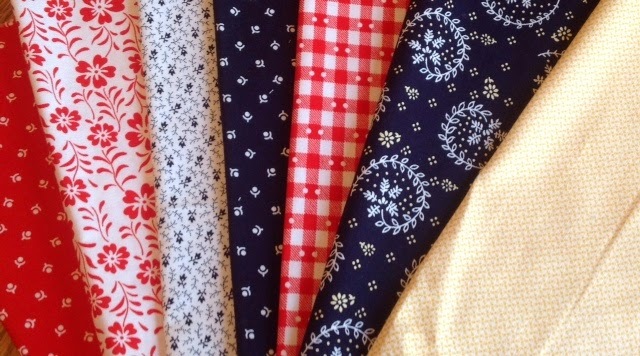 We still have several more pieces we are "tweeking" but we are very happy with it so far..... we already know what quilts and projects (sweet aprons to clothespin bags... just wait!) we will be making from all of it...can't wait to get started! Let us know what you think... after all ... you're the customer and we want to please YOU!! Send us your comments...PLEASE be honest... we need your feedback!